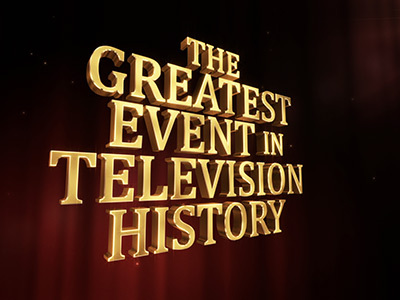 "The Greatest Event In Television History" (Wikipedia) was a series of four short specials aired on Adult Swim, co-created by and starring a very self-deprecating Adam Scott. 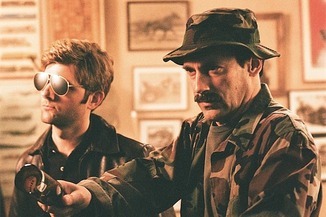 These specials are mockumentaries about the shot-for-shot remaking of classic 80's TV series opening credits sequences, followed by the remakes themselves and finally the original opening credit scenes. They are all hilariously funny and definite must-sees, with many famous actors listed below doing absurd guest roles in the comedy tradition of e.g. "Childrens Hospital" and "Burning Love" - or even "Parks And Recreation" for that matter. Adam Scott and Jon Hamm reenact the opening sequence from "Simon & Simon". Paul Scheer plays the role of a crazy fan, while Paul Rudd plays the abusive director. 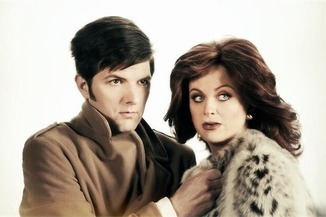 Adam Scott, Amy Poehler, and Horatio Sanz reenact the opening sequence from "Hart to Hart". Paul Scheer plays the evil agent, and David Wain plays the therapist. 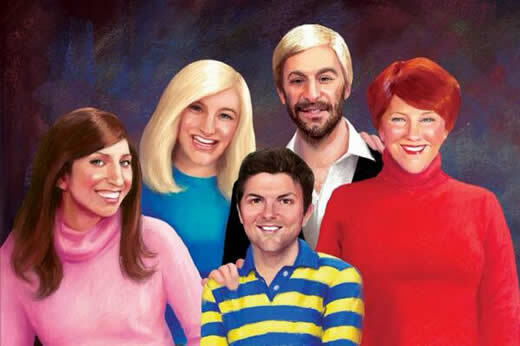 Adam Scott, Catherine O'Hara, Chelsea Peretti, Kathryn Hahn, Jon Glaser reenact the opening sequence from "Too Close for Comfort". Jason Mantzoukas plays the crazy director and Seth Morris the stunt coordinator. The ghost of Jon Hamm also appears. Adam Scott and Paul Rudd reenact the opening sequence from "Bosom Buddies". There are cameos by Tom Hanks, Peter Scolari and Billy Joel, who actually performed "My Life", which he wrote and originally recorded but was covered by another artist for the original series. June Diane Raphael plays Adam's fictional wife. Co-creator Adam Scott has also appeared on various podcasts and radio shows over at Earwolf. Check them out.